The alkaline Hydrogen antioxidant (AHA) Water Bottle lets you enjoy the benefits of hydrogen-rich alkaline water wherever you are. 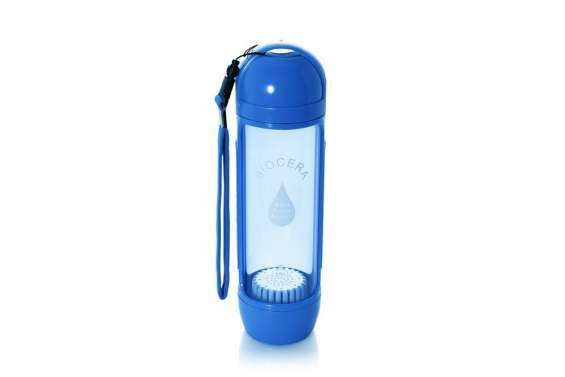 The attractive bottle is great for taking to work, using when travelling or taking to the gym. Not only is the water produced by the AHA bottle less acidic, but it contains molecular hydrogen. The impact of drinking hydrogen-rich water is becoming more widely known, with many published articles and peer-reviewed studies revealing myriad benefits to the body. The ceramic balls contained in the filter release hydrogen, calcium, magnesium, potassium, and other beneficial minerals. When you drink micro-clustered water you are hydrating your cells so they are able to rejuvenate, making the skin more soft, smooth, supple and youthful. The body is healthiest when alkaline. Get your daily minerals from the source.